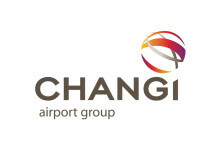 Singapore and Hong Kong, 20 December 2013 – Changi Airport Group (“CAG”) and CapitaMallsAsia Limited (SGX: JS8 and HKEx: 6813) are pleased to announce that their respective wholly-owned subsidiaries, Jewel Changi Airport Holding Pte. Ltd. and CMA Singapore Investments (6) Pte. Ltd., have today signed a joint venture (“JV”) agreement to develop an iconic mixed-use development at Changi Airport – codenamed Project Jewel – which is envisaged to be a world-class lifestyle destination in Singapore. The two companies had previously entered into a Memorandum of Understanding to develop the concept and detailed plans for Project Jewel. CAG and CapitaMalls Asia will be setting up a private trust, a trustee-manager and a property manager as the JV entities, with CAG being the majority 51% shareholder and unitholder of the JV entities and CapitaMalls Asia owning the remaining 49%. Including land cost, the development cost of Project Jewel is expected to be about S$1.47 billion (HK$9.08 billion). To be built on the surface car park site fronting Changi Airport Terminal 1 (“T1”), which measures about 3.5 hectares (377,000 square feet, “sq ft”), Project Jewel will offer a range of facilities for airport operations, retail offerings and leisure attractions. With outstanding architecture and an exciting myriad of lifestyle offerings, this signature lifestyle destination will enable Changi Airport to capture greater tourism mindshare and strengthen its appeal as an air hub. Project Jewel, with its distinctive dome-shaped facade made of glass and steel, will be an iconic landmark in Changi Airport’s landscape. It is designed by a consortium of design consultants comprising Safdie Architects, Benoy and local architects RSP. World renowned architect Moshe Safdie, who leads Safdie Architects, was behind the design of Marina Bay Sands, another iconic landmark of Singapore. Benoy, part of the design consortium for Terminal 4, and RSP were respectively the design consultant and local architects for ION Orchard, as well as the recently-opened Westgate in Singapore. The complex will have five storeys above ground and five basement storeys, comprising two basement storeys of mainly retail and car park spaces and another three basement storeys of carpark. The complex will cover a total gross floor area (“GFA”) of about 134,000 square metres (“sqm”) (1,443,000 sq ft). This will comprise about 17,000 sq m of facilities for airport operations, 22,000 sq m of attractions, 5,000 sq m of hotel space and 90,000 sq m of retail space. The netlettable area (“NLA”) of the retail space, which is located from Basement 2 to Level 5, is about 53,500 sq m.
Within Project Jewel, there will be unique leisure attractions and activities for the young and old –including a large-scale, lush indoor garden with a central waterfall of about 40 metres in height – and a wide range of retail and dining offerings, including exciting new-to-Singapore concepts, top international brands as well as home-grown names. The facilities for airport operations in Project Jewel will further strengthen Changi Airport’s existing service offerings to enhance the passenger’s travel journey. There will be facilities dedicated to the fly-cruise and fly-coach passenger segment, as well as training facilities and communal event spaces for the 32,000-strong airport community. The basement car park will almost treble the capacity of the current T1 car park to about 2,500 parking spaces. In addition, Project Jewel will also serve as a node that improves connectivity between Terminals 1, 2, 3 and the Changi Airport MRT station. The redevelopment of the T1 car park will allow CAG to meet a critical objective of increasing Changi Airport’s passenger handling capacity. As part of the redevelopment works, T1, which was previously hemmed in by roadways, will be expanded, allowing for more space for the arrival meeters and greeters hall, baggage claim areas and taxi bays. “We will leverage our experience in developing iconic shopping malls and integrated developments both in Singapore and around Asia, and our well-established network of international and local retailers to deliver a landmark project that will be the pride of Singapore.” Construction for Project Jewel is scheduled to begin in the second half of 2014, and the development is targeted to open by the end of 2018. Excludes construction costs for facilities for airport operations and car park spaces for airport users, which will be borneby CAG. The facilities for airport operations will be handed over for CAG’s ownership and management upon completion. 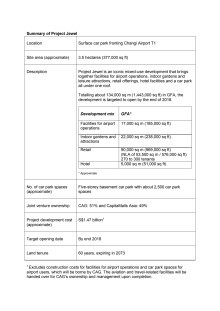 For breakdown of area in sq ft, please refer to the Annex - Summary of Project Jewel, attached below. Changi Airport (www.changiairport.com) is the world’s most awarded airport with more than 450 accolades received since it opened in 1981. To serve passengers and visitors from the world over, there are over 350 retail stores and 120 F&B outlets across the airport's three terminals. Changi handled more than 51 million passenger movements in 2012, an annual record. Today, it serves more than 100 airlines flying to 270 cities in about 60 countries and territories worldwide. A flight takes off or lands at Changi roughly once every 90 seconds. CapitaMalls Asia Limited (www.capitamallsasia.com) is one of the largest listed shopping mall developers, owners and managers in Asia by total property value of assets and geographic reach. CapitaMalls Asia has an integrated shopping mall business model encompassing retail real estate investment, development,mall operations, asset management and fund management capabilities. It has interests in and manages a pan-Asian portfolio of 105 shopping malls across 53 cities in the five countries of Singapore, China, Malaysia, Japan and India, with a total property value of approximately S$34.4billion (HK$212.4 billion) and a total GFA of approximately 97.9 million sq ft.
Shopping malls in the portfolio include ION Orchard and Plaza Singapura – which are located in one of the world’s most famous shopping streets, Orchard Road – Raffles City Singapore and Clarke Quay in Singapore. Our landmark shopping malls in China are CapitaMall Crystal in Beijing, Hongkou Plaza in Shanghai and Raffles City Shanghai; and CapitaMall Jinniu in Chengdu. The portfolio also includes Gurney Plaza in Penang, Malaysia; Olinas Mall in Tokyo, Japan; as well as Forum Value Mall in Bangalore, India. CapitaMalls Asia’s principal business strategy is to invest in, develop and manage a diversified portfolio of real estate used primarily for retail purposes in Asia, and to strengthen its market position as a leading developer, owner and manager of shopping malls in Asia. Changi Airport Group (CAG) released today its concept plans for an iconic mixed-use complex to enhance Changi Airport’s offerings and strengthen its position as an international air hub. 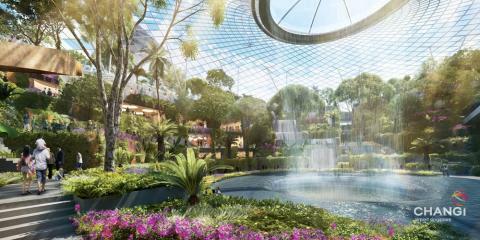 Following the recent announcement that Project Jewel will be jointly developed by Changi Airport Group and CapitaMalls Asia, Jewel Changi Airport Devt, the property manager of Project Jewel, is now inviting the public to play an integral role in shaping the complex into an iconic, world-class lifestyle destination in Singapore.